Crankshaft connecting rod long 85mm, ideal for kits requiring this rod size as els BIG EVO and others, or to spend their kit on a long rod! 338,33 € 338.33 tax incl. Crankshaft with 85mm rod lengthened in relation to the origin of 5mm! Mounts in combination with a normal BIG EVO race kit or other kit with a 5mm wedge! The 85mm long connecting rod reduces the forcings and releases the power, especially at high regimes! 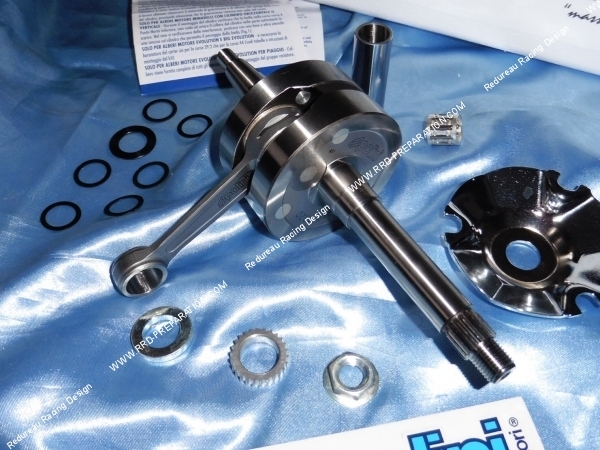 It removes the thermal unit of 5mm of the admission, this increases the dead volumes (ideal on a big diameter kit 47,6mm for example) and this avoids that the turbulences of the valves come to disrupt the admission of the cylinder. 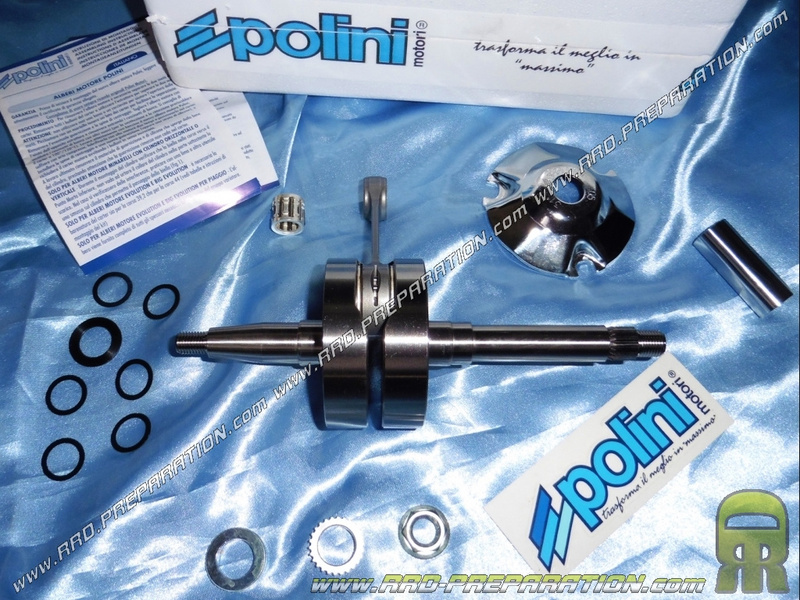 This crankshaft manufactured in Italy is of very high quality, it has a machined rod mass, solid masses and a dynamic balancing. Delivered with a high range dimmer nut for a good hold! This crankshaft is made for variators Ø16mm internal axis (barrel). 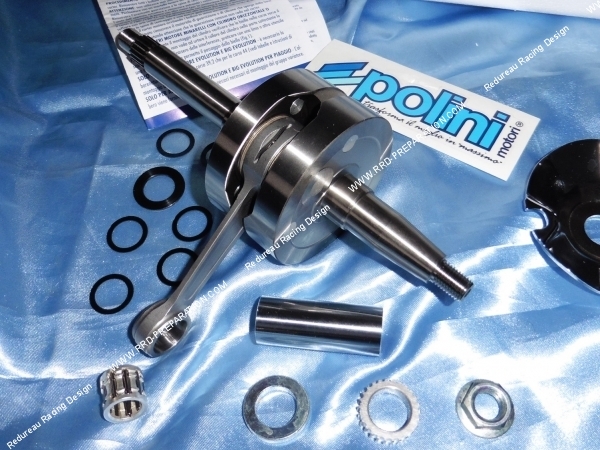 It is therefore suitable for POLINI HI SPEED drives and others! It also comes with a special dimmer flange and shims and the pump drive wheel!